Can’t wait to see this great movie, so proud In a world divided by Color my father stood up when no one else would ,even when it was customary for the whole bench to unload and run up to home plate to congratulate their teammates home run , George was the only one.,and shook the hand of Jackie Robinson on the day the color line was broken in baseball April 18.1946 Jackie’s first homerun and first game also “The first time a white hand clasped a black in congradulations in organized baseball history”. As people across the world call it ” A Handshake for the Century” you can hear the real story about the handshake moment at George “Shotgun”Shuba face book page. 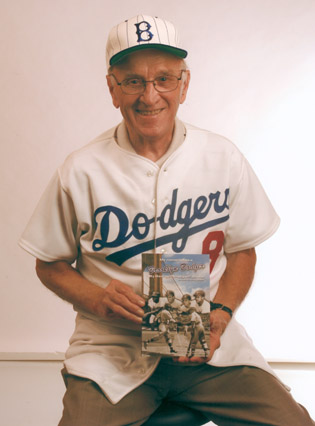 George is 88 and in good health ” The oldest living member of the 1955 Brooklyn Dodger Champs “and can still tell you about the handsake moment like it happened yesterday…and loves to watch ball on tv.